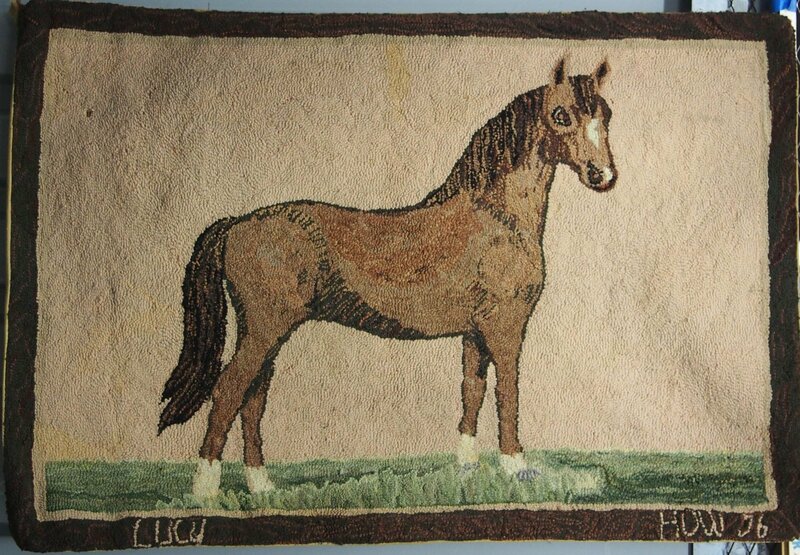 Someone's pride and joy was Lucy, a thoroughbred it looks like. Don't know if this is a skillfull pictorial of the actual horse or a pre-stamped pattern that the maker personalized and signed. Naturalistic colors.